4:00AM. That was the ungodly hour that I started my journey, more like voyage, to Legends of the Autobahn at Monterey Car Week. The sun slowly emerged over the mountains somewhere around 6:00AM, barely halfway through my trip. Per car week tradition, even at this hour there was a sizable amount of traffic going into the city. 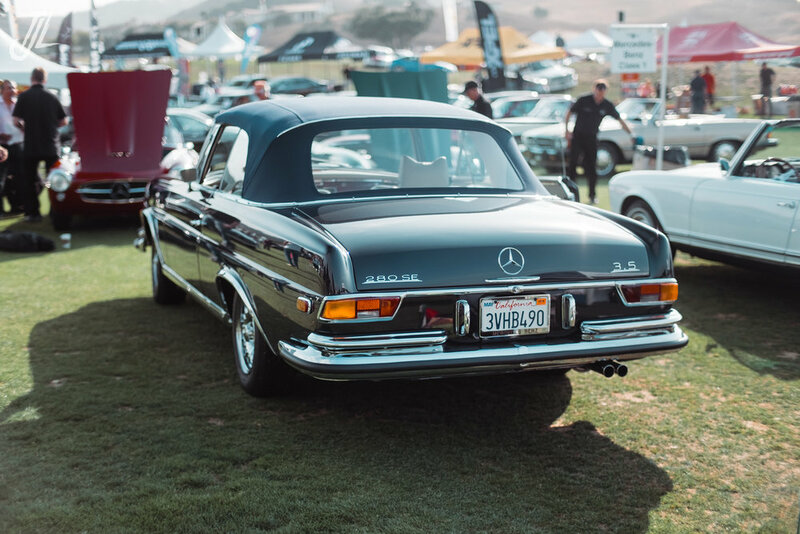 The Legends of the Autobahn event was held at the Nicklaus Club right next to Laguna Seca Raceway, so I figured it would be easy enough to find the parking lot. I was gravely mistaken. The brief but eventful odyssey around the raceway would take me over paved roads, curbs, dirt paths, wood chips, grass, golf cart paths, and even a creaky wooden bridge that was definitely not meant for a 3000 pound vehicle. I went not once, but twice around the golf course trying to find spectator parking. I eventually tracked down a grounds keeper who helped me out, chuckling at me as I took my Honda Fit off-road into the dirt-covered driving range turned spectator parking lot. My troubles were not over yet, of course. The previous night I had messaged the group putting on the event, confirming that it was okay to arrive at the opening before other spectators since I was photographing the event. The confused maintenance worker had obviously not heard this, nor did anyone else at the event. Apparently, they had accidentally left the gate to the spectator parking open the previous night allowing me to slip through without paying before they realized their mistake. Thinking they were going to ask me to leave, I was certainly concerned. Thankfully, they only wanted the $20 for parking which I gladly paid. Finally I was on my way into the actual event, after hitching a short ride on a passing golf cart. Because of my obscenely early arrival, I was the only spectator at the event for the first two hours. I was free to roam, mingle, and photograph without a hindrance. I spent most of my time in the BMW area, followed closely by the Mercedes. I, admittedly, somewhat neglected the Audi area. The oldest of the Audis dated only back to the '80s, with most of the models that had shown up being from the 2000's. To be honest, it wasn't really my crowd. 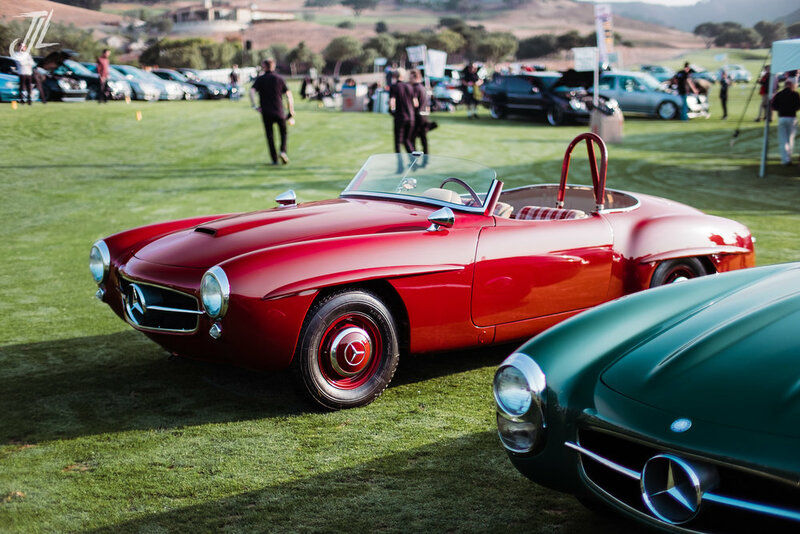 In the center of the Mercedes area were several vehicles from the Mercedes Classics Center, most notably a racing 300 SLS. Flanking the classics were various AMG vehicles, both new and those from years long passed. It took some clever footwork and framing to ensure the gigantic G wagons weren't present in the background of some of my images. Michelin also had a rather titanic exhibit with the new AMG GT, an SLS, the SLR McLaren, and an employee dressed up as the Michelin man himself. As the temps rose, I felt sorry for that poor person. Whatever they were being paid, it wasn't enough. Closer to the spectator parking was my favorite group, the BMWs. As opposed to the Mercedes exhibit, there were very few vintage classics. Only two ever showed up: a rather majestic BMW 321 and a 700 Cabriolet. 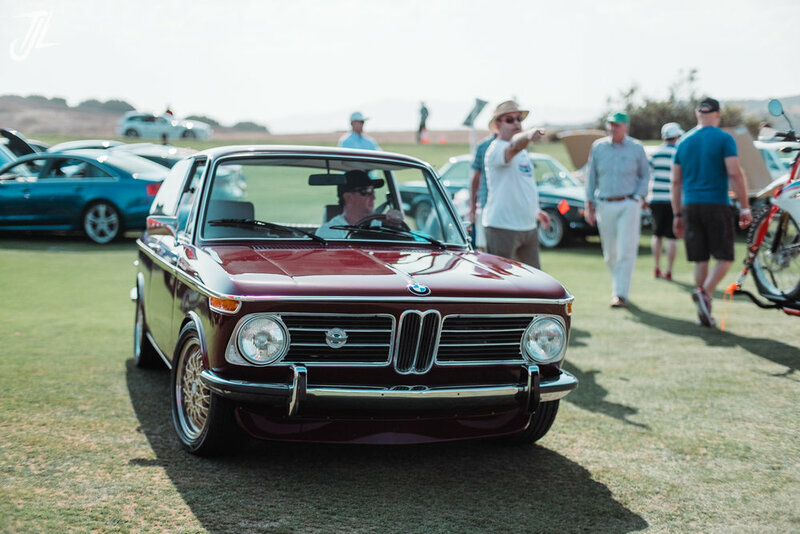 A handful of E30s formed a circle in the middle of the fairway, surrounded by various booths and a smattering of some of the Neue Klasse. There was also a small tuning section which I, somewhat intentionally, overlooked. As you ventured further from the center, towards the Audi fairway, you encountered some more interesting Bimmers. There was a rainbow of countless takes on the classic 2002, but that was to be expected. The most interesting of these was one complete with its own trailer and matching BMW boxer-engined motorcycle. Of course, you can find more pictures of all of these down below.